This perfume has been slightly reformulated. It is very similar to the last offered version but not identical. 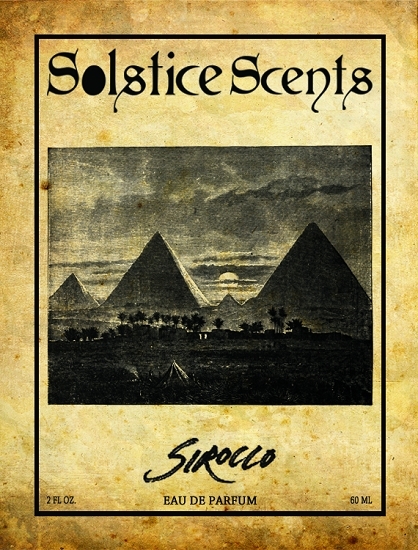 Sirocco is a blend of sandalwood, precious saffron threads, hot baked Earth, myrrh resin, spices and a touch of oud and jasmine which meld together to create a dry, woody, resinous and spicy scent representing the blisteringly hot desert, spice caravans and never ending sun scorched sand. The woods and spices on cold sniff and initial application quickly turn dry and resinous as the saffron and myrrh boldly emerge. 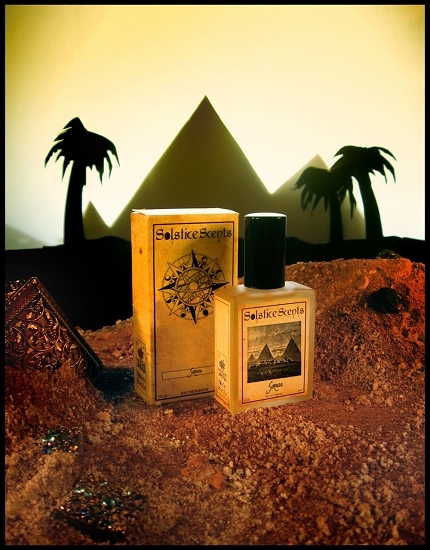 A hot Mediterranean wind stirs desert sands, fusing with the incense wood notes. Sirocco combines sandalwood essential oil and fragrance with a baked Earth Indian attar, myrrh and saffron essential oils and a medley of spices with a faint trace of sweet jasmine absolute. Very subtle additions of aged patchouli, vetiver, cardamom, rose and labdanum essential oils and absolutes add supporting depth though the main notes to be detected are the aforementioned. The dry down is warm, sandy, woody and spicy. Sirocco does lean a bit masculine but it is a very unique fragrance that Women would love to journey with as well. The 60 ml EDPs are not currently available for international shipping. The 2.5 ml sample sprayers are.